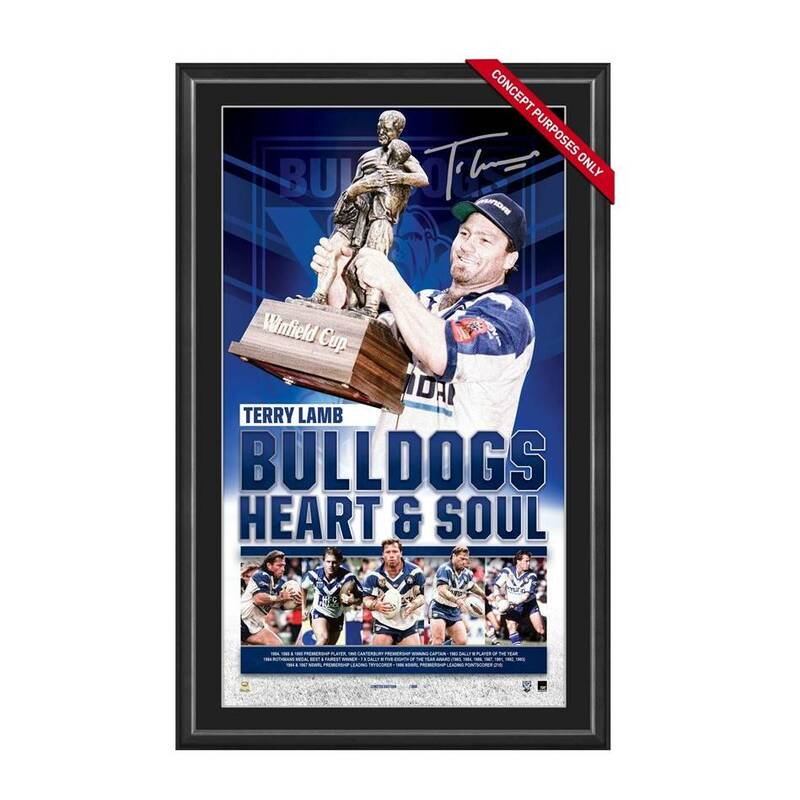 Official Memorabilia, in conjunction with the National Rugby League, is pleased to release ‘Bulldogs Heart & Soul’, a tribute to Terry Lamb’s extraordinary career at the Bulldogs. Personally signed by Lamb and featuring action and celebration images throughout his career, ‘Bulldogs Heart and Soul’ is limited to just 206 editions. Officially licensed by the National Rugby League and independently third-party authenticated, this is a must-have for any Bulldogs fan. Secure your tribute to a Bulldogs great while stocks last!